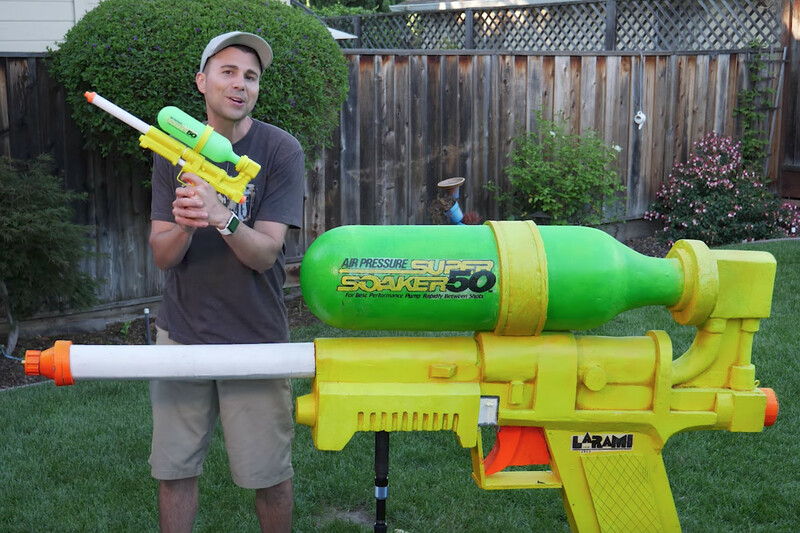 YouTuber Mark Rober, who happens to be a former NASA engineer, is utilizing his talents for different things these days. In fact, Rober recently constructed the world’s largest Super Soaker, capable of spitting out water at an incredible 272 miles per hour. Typically a Super Soaker works by pressurized air being pumped into a chamber of water, and released by pulling the trigger. Rober’s massive seven-foot-long version instead utilizes pressurized tanks of nitrogen gas and water in order to shatter glass. While Rober doesn’t plan on building more anytime soon, he has provided a build list of parts and CAD files if you are looking to attempt to build your own. Remember though, he used to work for NASA so be careful!